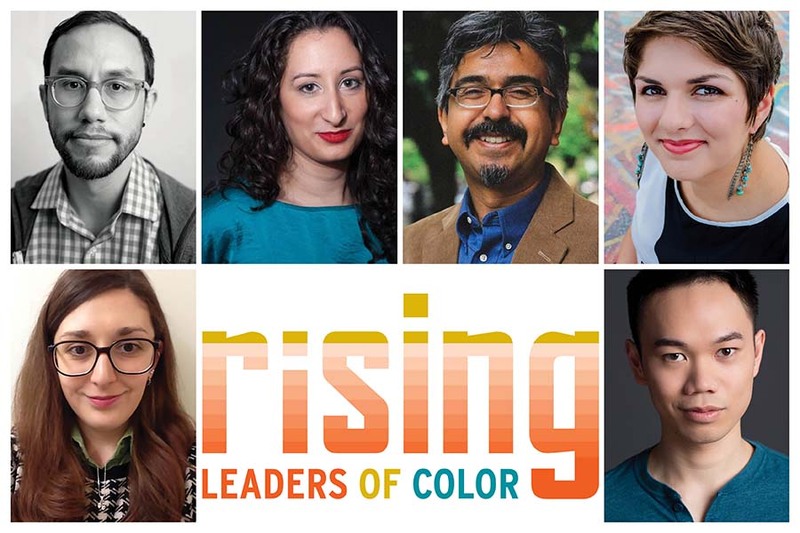 NEW YORK CITY: Theatre Communications Group has announced the participants selected for the second round of Rising Leaders of Color (RLC). This year, the program, supported by Meyer Memorial Trust and Walt Disney Imagineering Creative Entertainment, offers early career leaders from Oregon the opportunity to participate in a yearlong curriculum of professional development. The program will kickoff at the 2017 TCG National Conference in Portland, Ore., this week. The 2017 Rising Leaders of Color are TJ Acena, Tracy Cameron Francis, Geno Franco, Madilynn Garcia, Jordan Schwartz, and Samson Syharath. This year marks the inaugural theatre criticism and journalism track for the RLC program, designed to deepen the pool of voices documenting, reflecting, and challenging the field. Acena will serve as the program’s first RLC journalist. Acena is a freelance writer living in Portland, Ore, where he has written for PQ Monthly, Pacifica Literary Review, and Somnambulist. As an associate artist with Action/Adventure Theatre since 2015, he has collaborated on devised work, serial plays, and spoken-word performances. Francis is a director, producer, and interdisciplinary artist with a focus on international exchange and socially conscious work. She is a former TCG Global Connections grant recipient, which she used to collaborate with Syrian writer Mohammad Al-Attar in Beirut. She is a core member of Theatre Without Borders, an associate member of Stage Directors and Choreographers Society, and a member of the Lincoln Center Directors Lab. Franco is the production and facility manager at Oregon Contemporary Theatre (OCT) in Eugene, Ore. Geno has held production management positions with the Hypocrites, the Raven Theatre, the New Colony, and Steppenwolf Theatre, where he was a multicultural fellow. Previously, he was a scenic artist at companies such as Oregon Shakespeare Festival, Portland Center Stage, Utah Shakespeare Festival, Cincinnati Playhouse, and South Coast Repertory. Garcia works as a freelance production manager in Portland, Ore., at companies such as Profile Theatre, Third Rail Repertory, and Action/Adventure Theatre. Garcia is an active member of USITT, serving on both the finance committee and the diversity and inclusion committee. For the past three years, she has acted as coordinator of the Gateway Program, an initiative that fosters emerging members of production who are underrepresented in the field. Schwartz is finishing her M.A. in arts management at the University of Oregon, and looks forward to starting her new job as the director of literary programs and outreach at the Phoenix Theatre in Indianapolis. She also founded the Children’s Bilingual Theater in Atlanta, which has produced several full productions and literacy events. Syharath is a multidisciplinary artist focusing on visibility of Asian-American artists and under-served communities. He trained at the Portland Actors Conservatory, where he is an artistic associate and instructor, assisting with the equity initiative. He is also a founding company member of Theatre Diaspora, Oregon’s only professional Asian American/Pacific Islander theatre company.